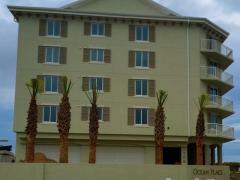 Buccaneer Beach Club is a pair of oceanfront 9-story high-rises in Satellite Beach, FL. Amenities include private balconies, a swimming pool, tennis court, and a resident clubroom. Buccanneer Beach Club was built in 1979. Have any comments or questions about Buccaneer Beach Club? Ask your question and/or share your thoughts about this Building. Do u have any units availavle for weekly rentals?